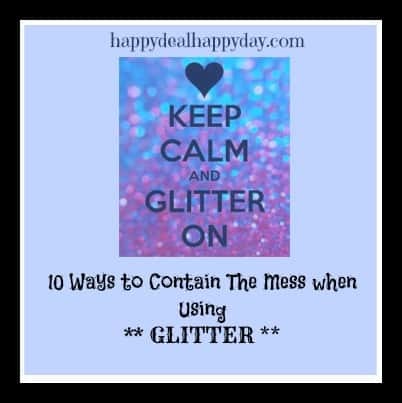 glitter messes Archives | Happy Deal - Happy Day! If anyone is familiar with the MOPS organization (Mothers of Pre-schoolers), a few year’s back the theme was to Embrace the Mess. I am an active member in my local chapter in Livonia. One of our meetings was to inspire each other to craft with our kids, embrace the mess, and even allow glitter in our houses! 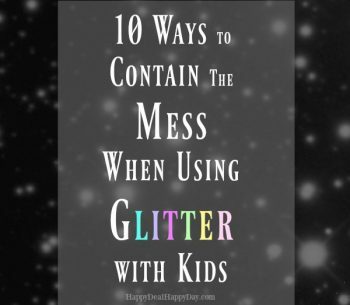 🙂 But with that, we also came up with some tips how to contain the mess – especially when it comes to using glitter. Use bath tub as an art studio – make your messes in the tub and wash down the drain when you are done! Use muffin liners as your “canvas” for painting, glittering, glitter gluing and more! Because of the way it is shaped, it naturally contains the mess. Use the decorated liners and glue them to paper to make some flowers. 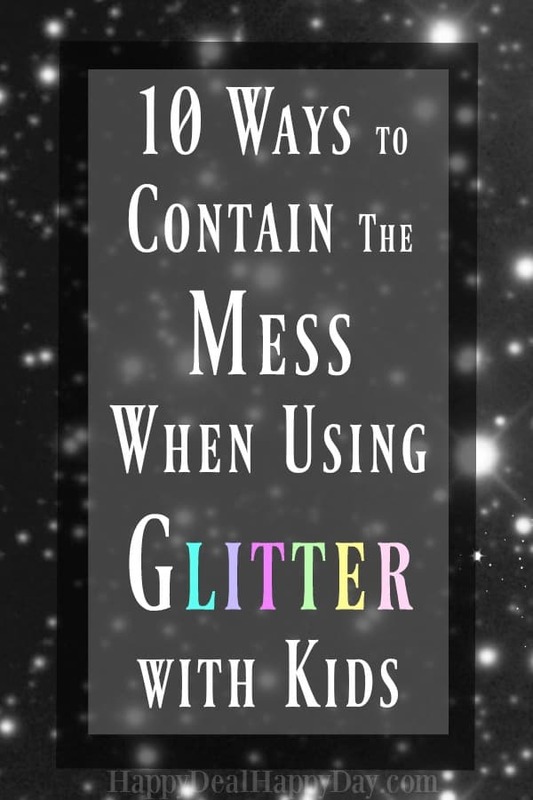 Do your glitter projects on a cookie sheet to contain the mess. When your project is done – just dump the cookie sheet! Complete glitter projects outside – make your yard sparkle! My personal favorite though is to just use GLITTER GLUE! 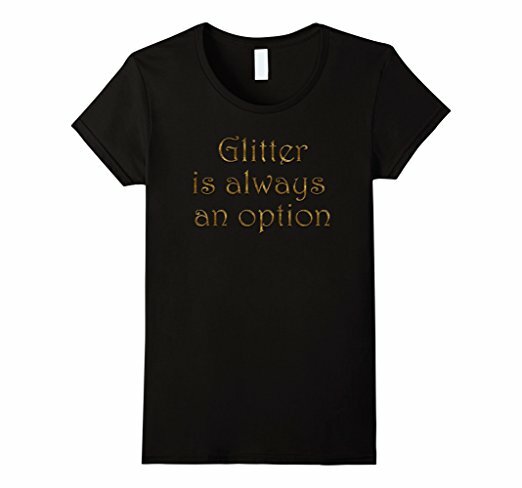 No glitter mess! 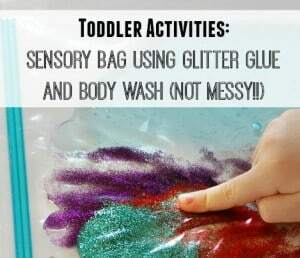 🙂 In fact – you should check out this Sensory Bag Using Glitter Glue and Body Wash! Elmer’s 3D Washable Glitter Pens, Classic Rainbow and Glitter Colors, Pack of 10 Pens for $3.97, down from $7.99. What tips do you have when it comes to glitter projects and messes?? Share below in the comments!!!! Find more Amazon deals over here!